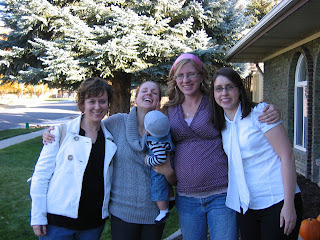 My dear girlfriends, Annie, Ashley, and Amber, threw a baby shower for me last Saturday. I love those girls. It was fabulous! And yes, I like to be at least a head taller than all my friends. Makes me feel POWERFUL! Actually, half the time I just feel huge…but whatever. I conquer with mIss Grace and Badass. You are totally adorable. But having been taller than most of my friends since junior high, I can relate. I prefer to be 3 heads shorter than all my friends. And apparently you’re only friends with girls with “A” names. I see how it is … I’ll send you my sister’s phone number stat! Damn! Sass beat me with the A-list comment. Sadly, I’m in the shorter category, but I’ve got one hell of a big personality! Glad you had fun, girl.